SCA is a leading global hygiene products company that develops and produces sustainable personal care, tissue and forest products. Tork, a global brand of SCA, is a committed partner to customers in over 100 countries. 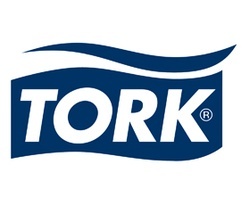 The Tork brand offers professional hygiene products and services to customers ranging from restaurants and healthcare facilities to offices, schools, universities and industries. Products include dispensers, paper towels, toilet tissue, soap, napkins, and industrial and kitchen wipers. Through expertise in hygiene, functional design and sustainability, Tork has become a market leader. To keep up with the latest Tork news and innovations, please visit: torkusa.com or tork.ca.